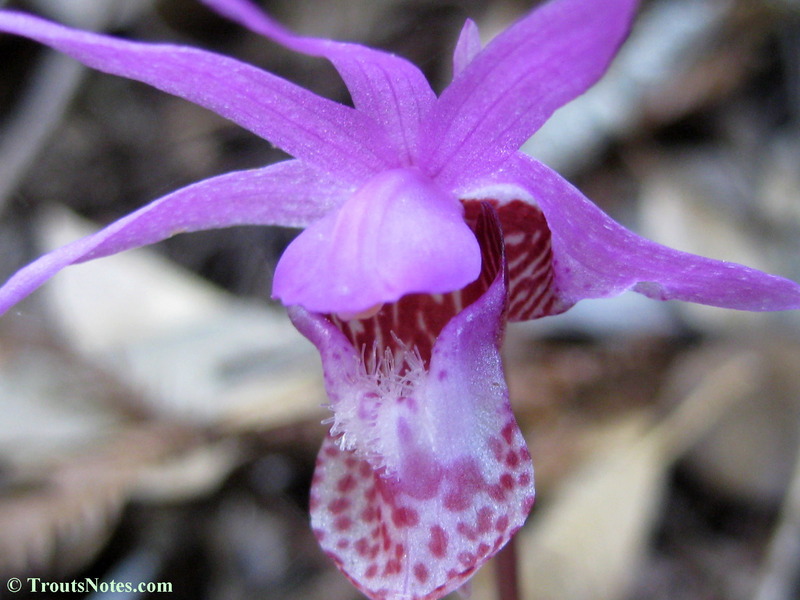 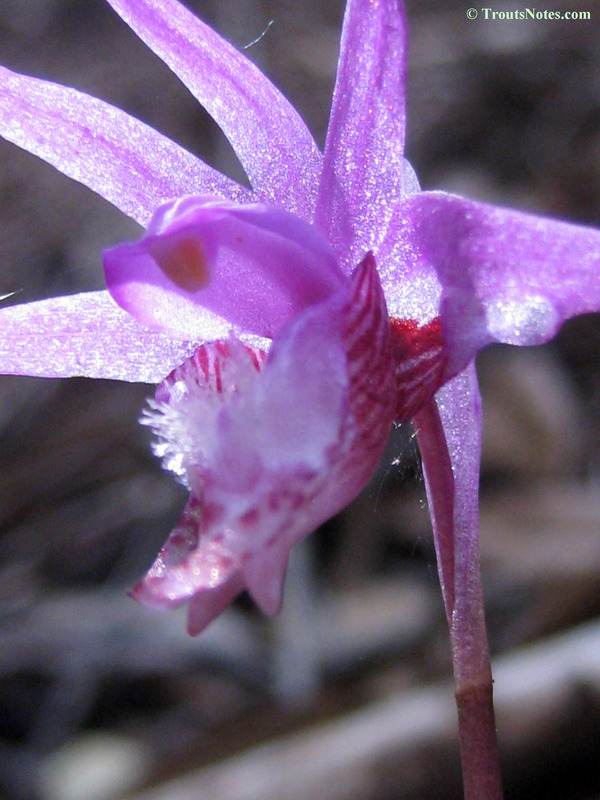 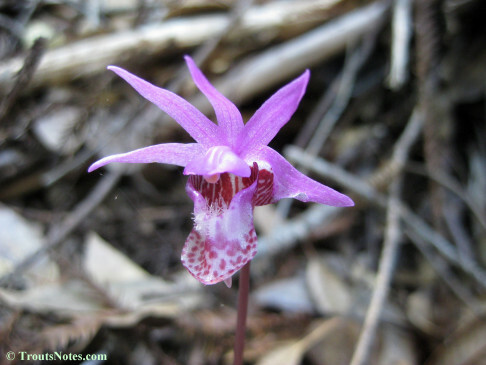 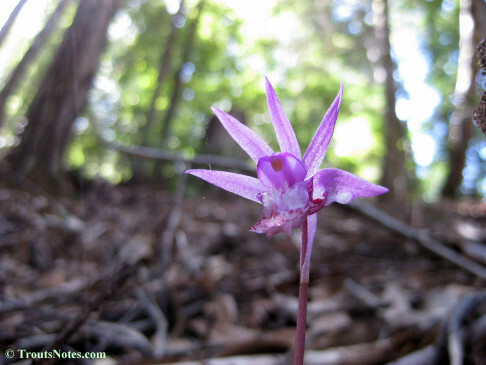 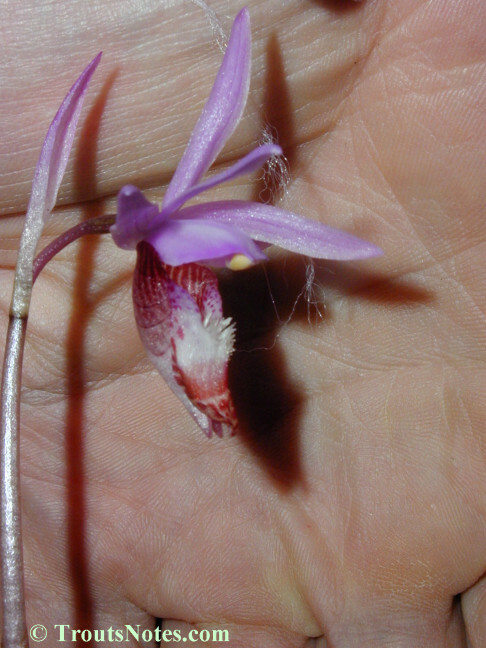 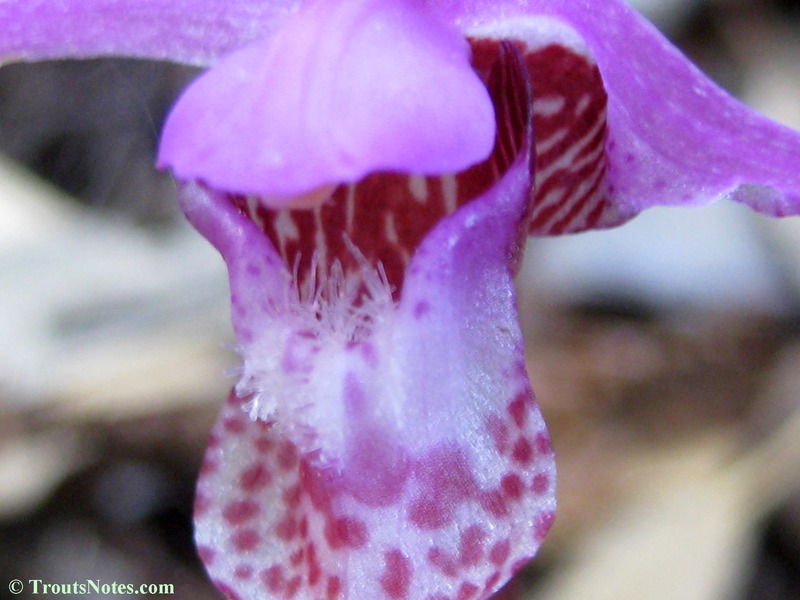 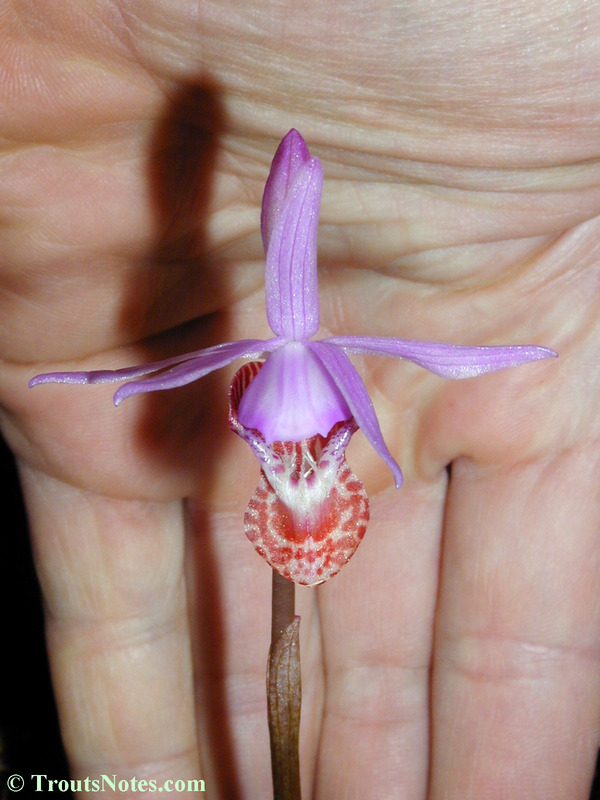 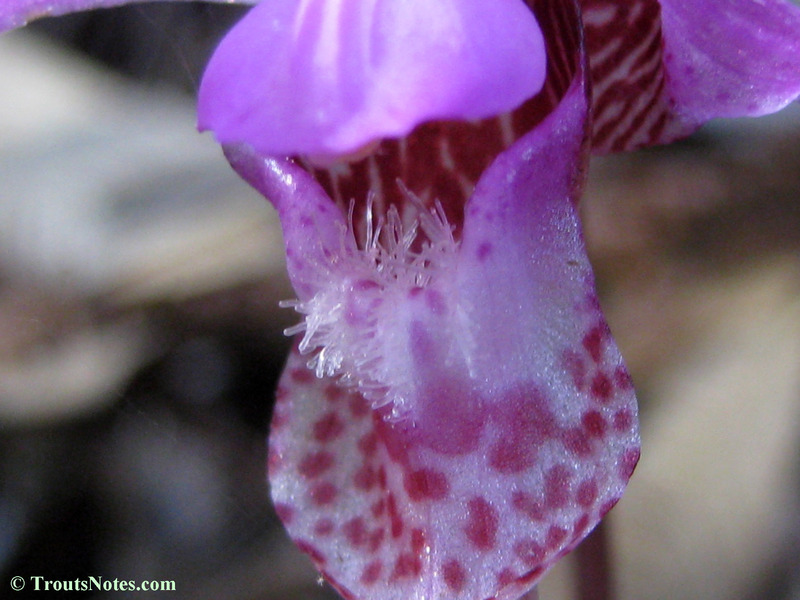 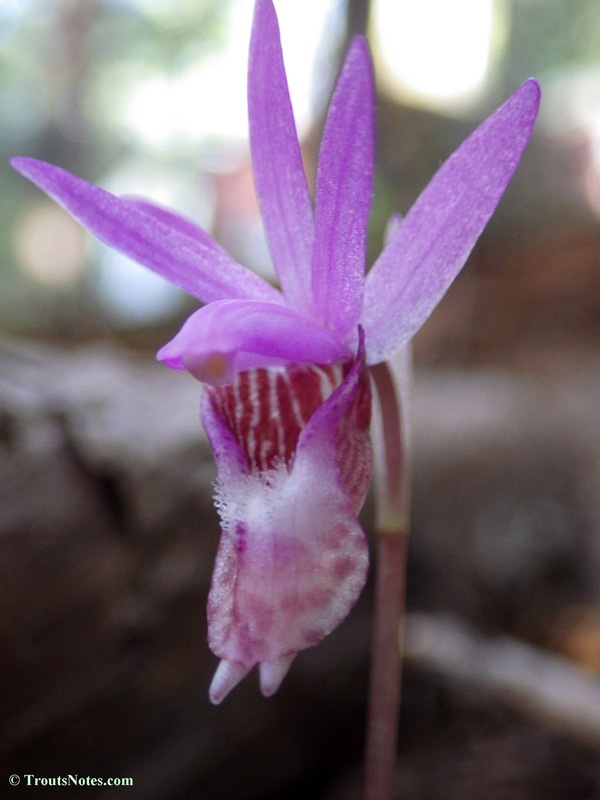 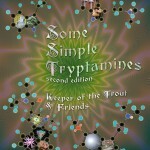 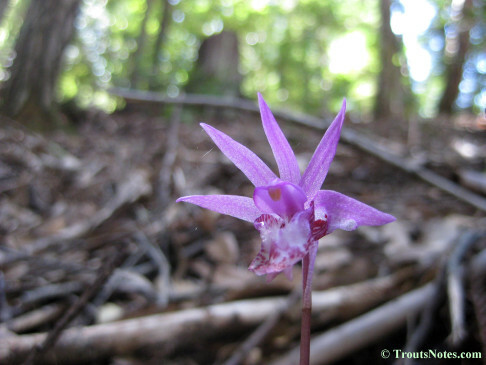 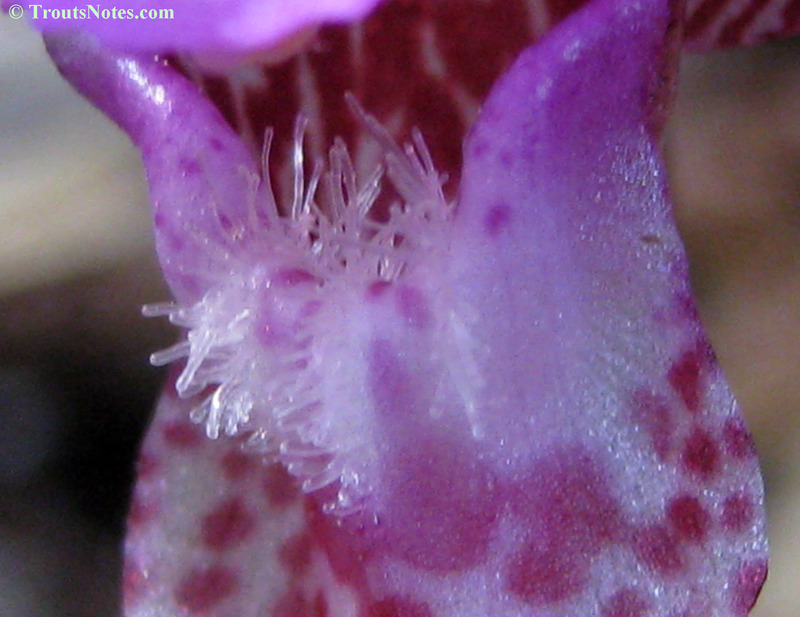 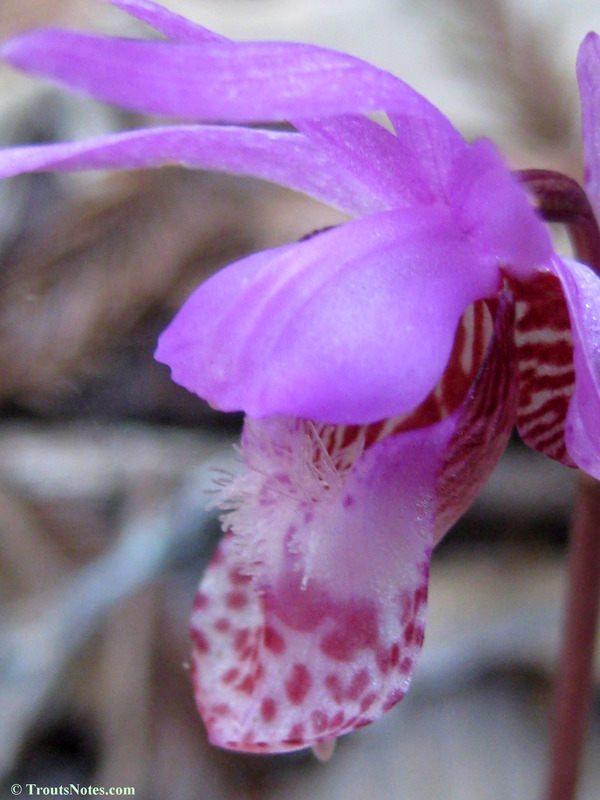 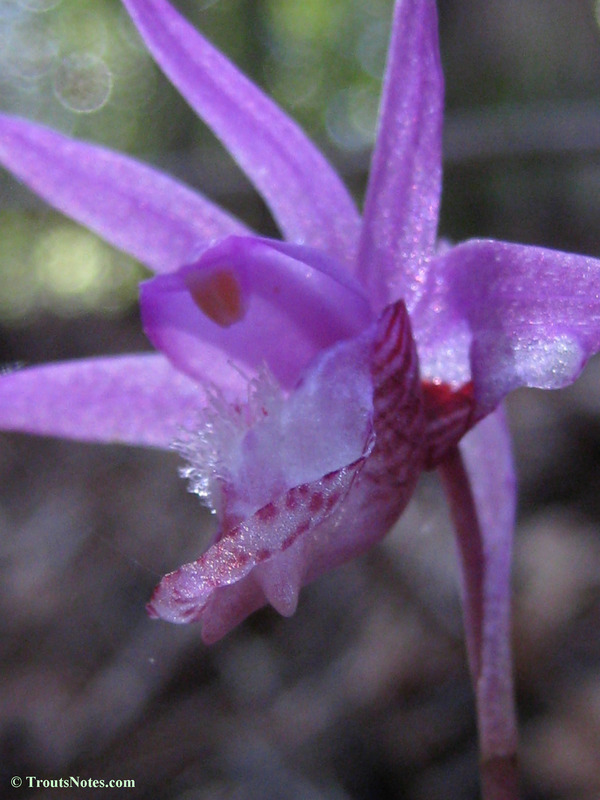 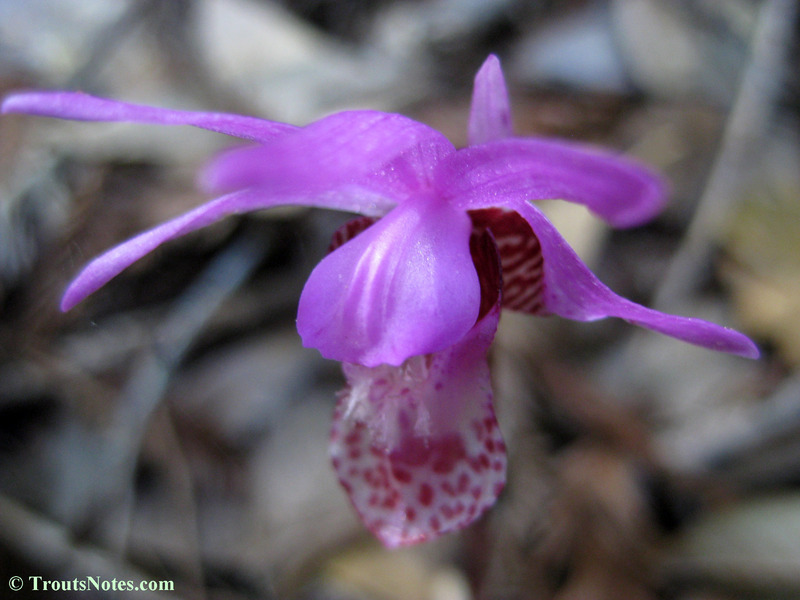 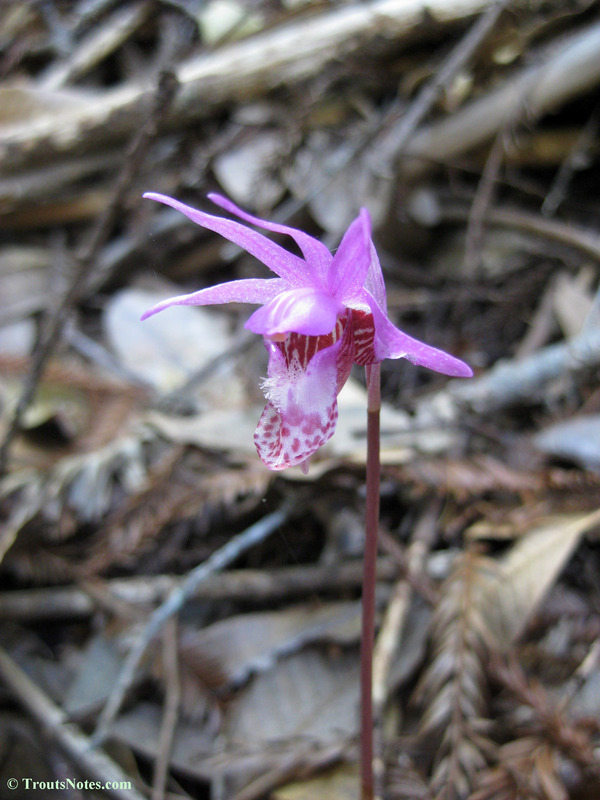 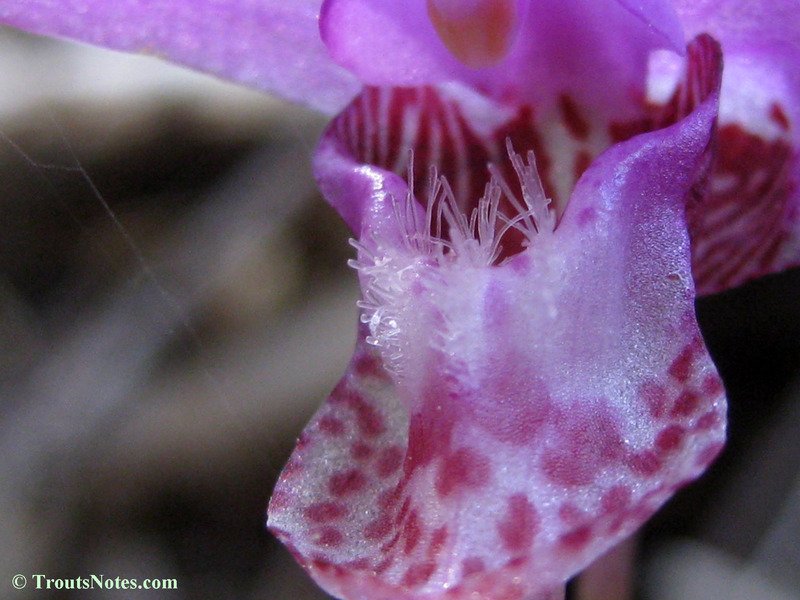 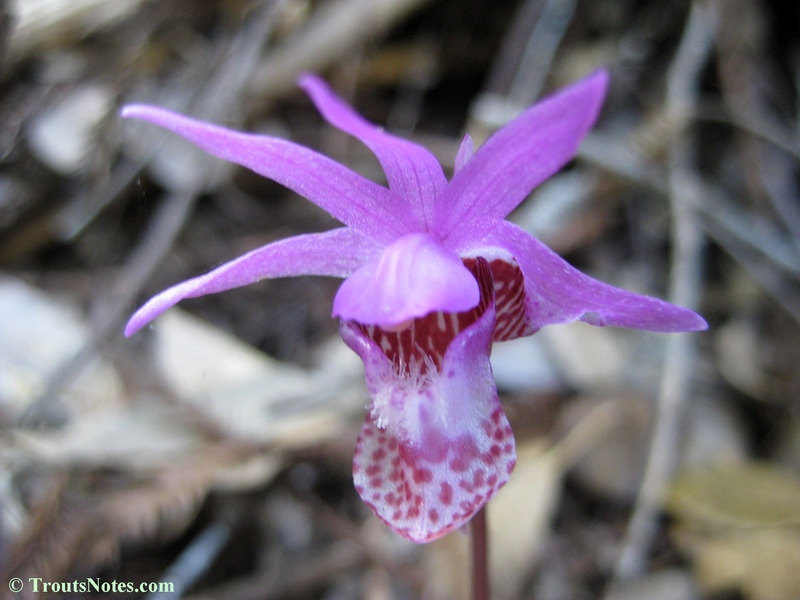 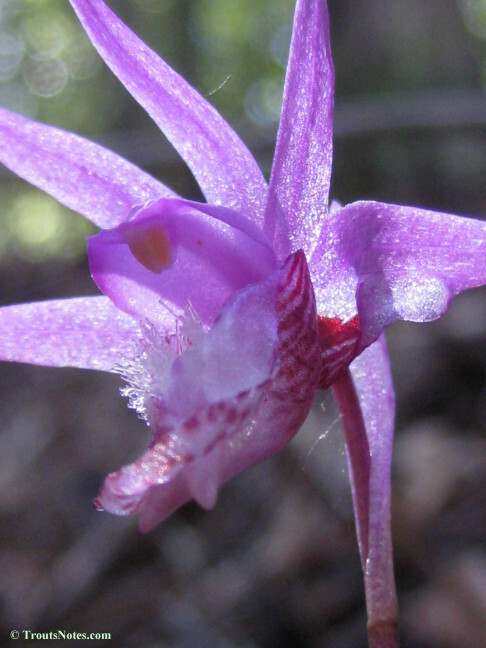 Calypso bulbosa is also known as the Calypso orchid and Fairy slippers. 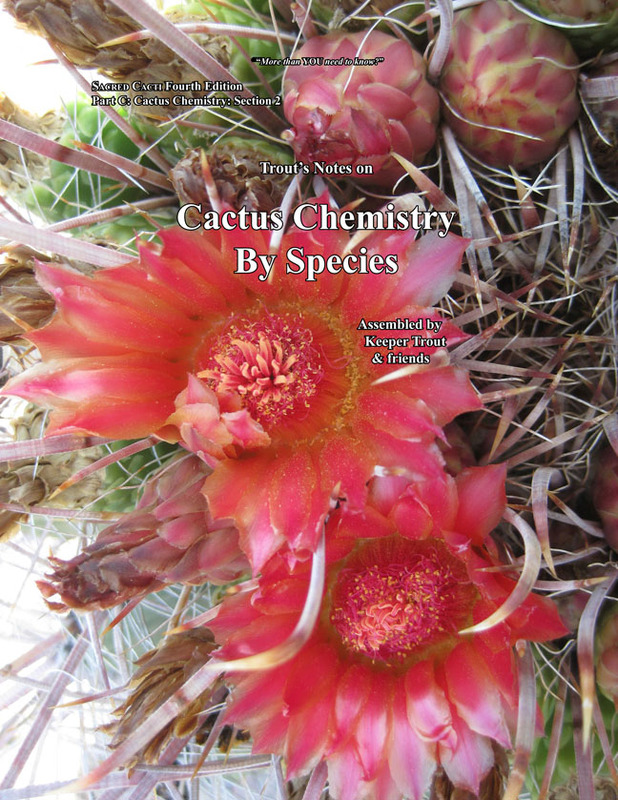 Here it is the occidentalis subspecies. 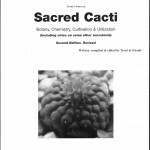 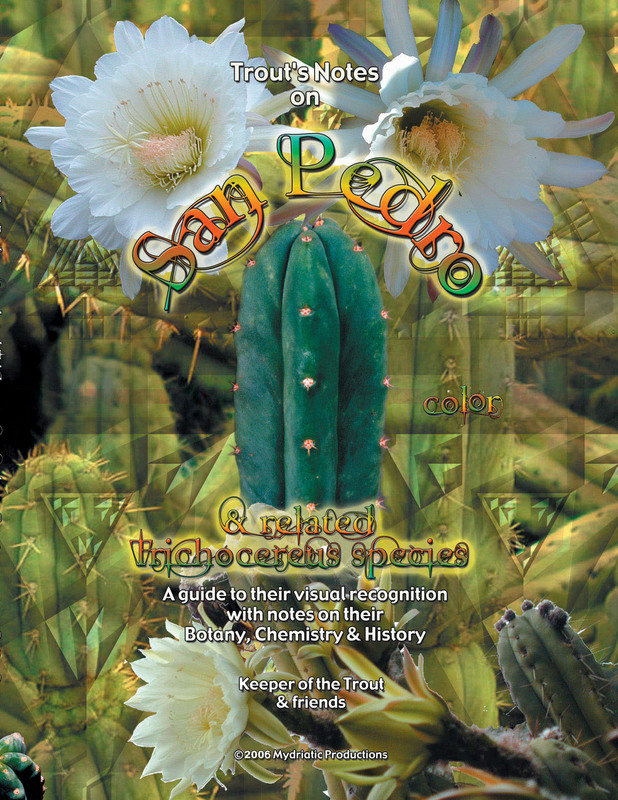 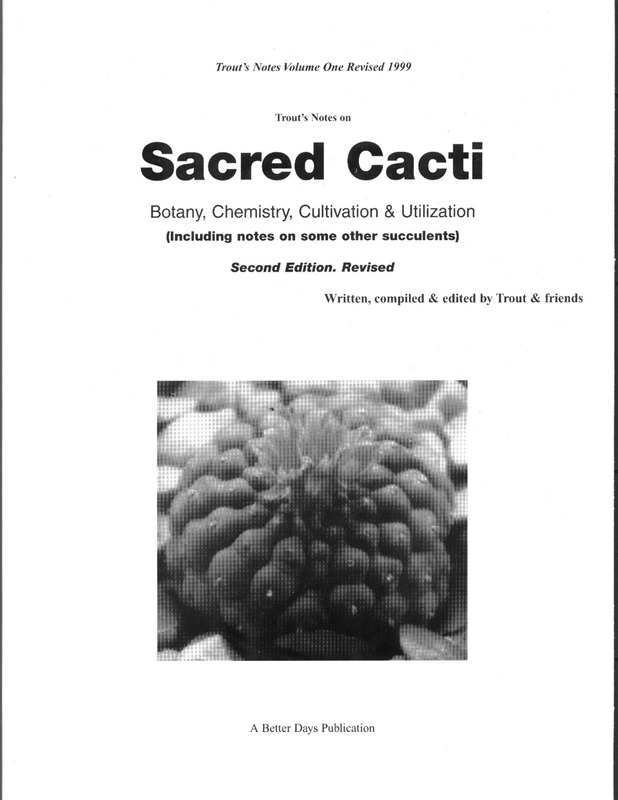 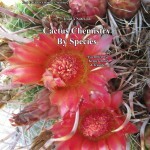 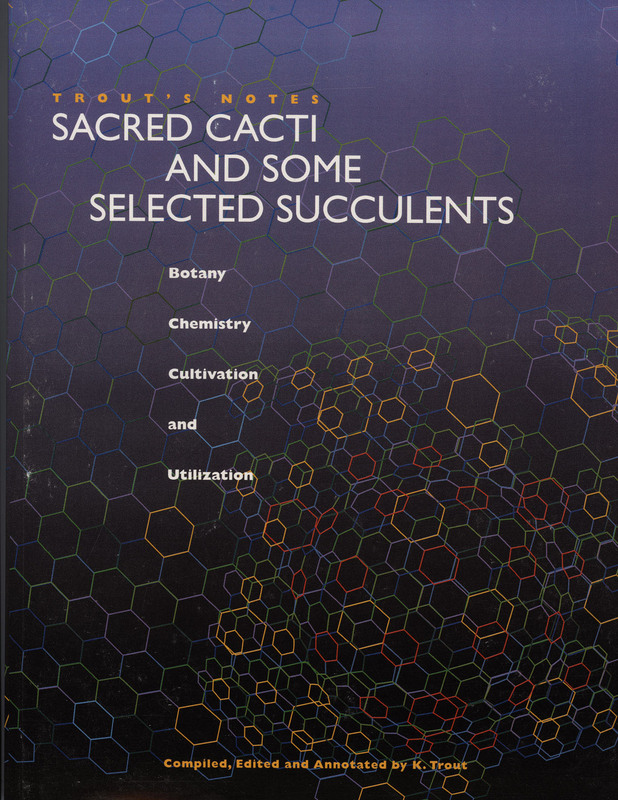 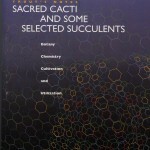 It is said to be easily killed through the act of picking its flower and to be endangered in many areas of its wide range. 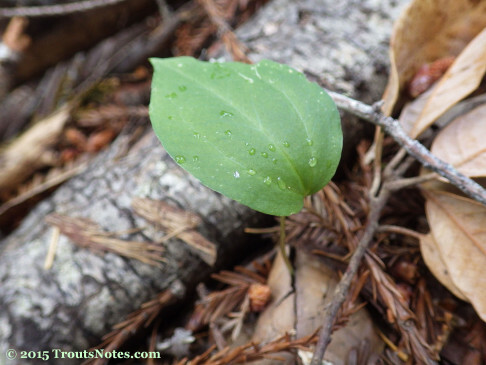 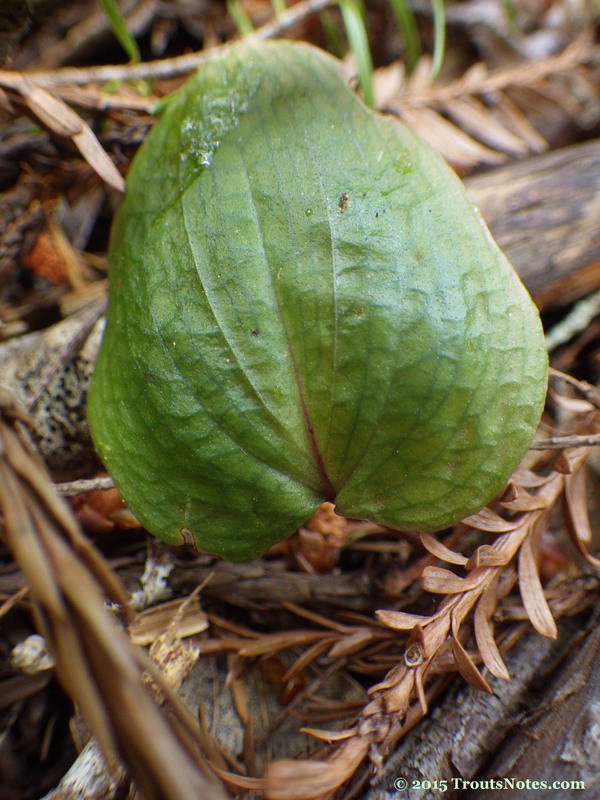 The appearance of these small single leaves is a sign spring is here. 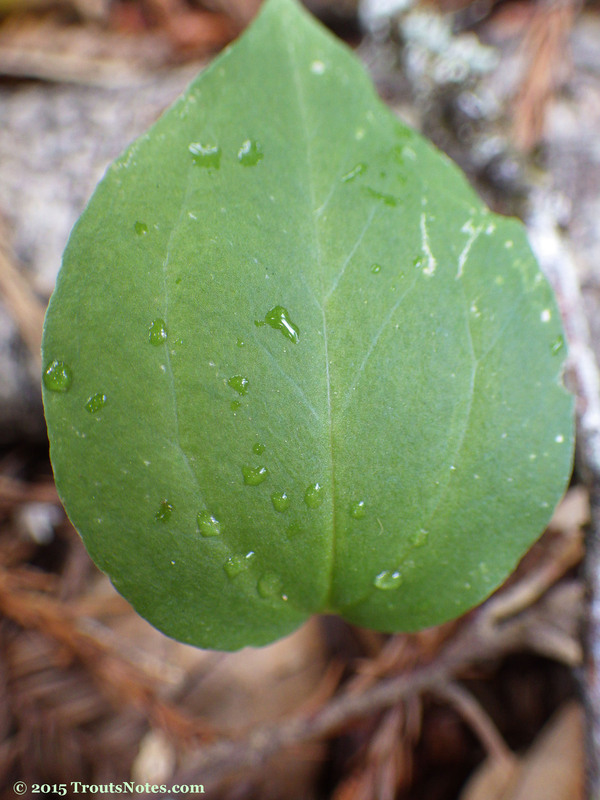 The leaves don’t stay around long. 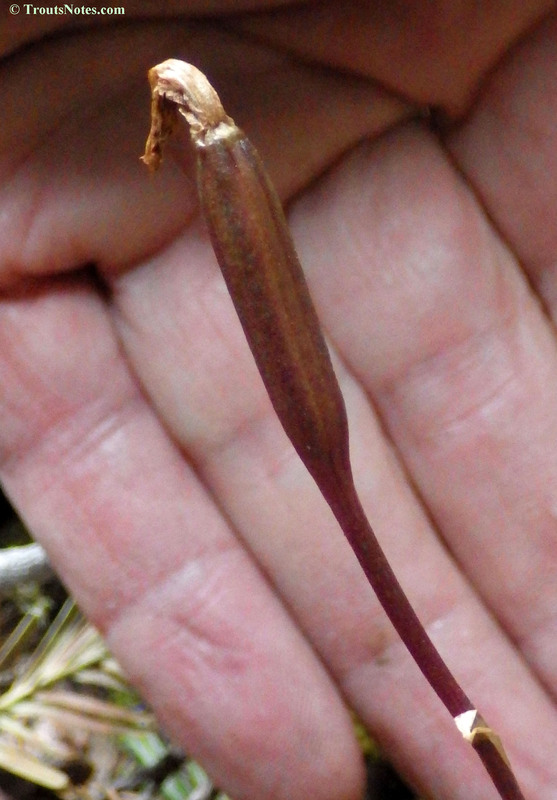 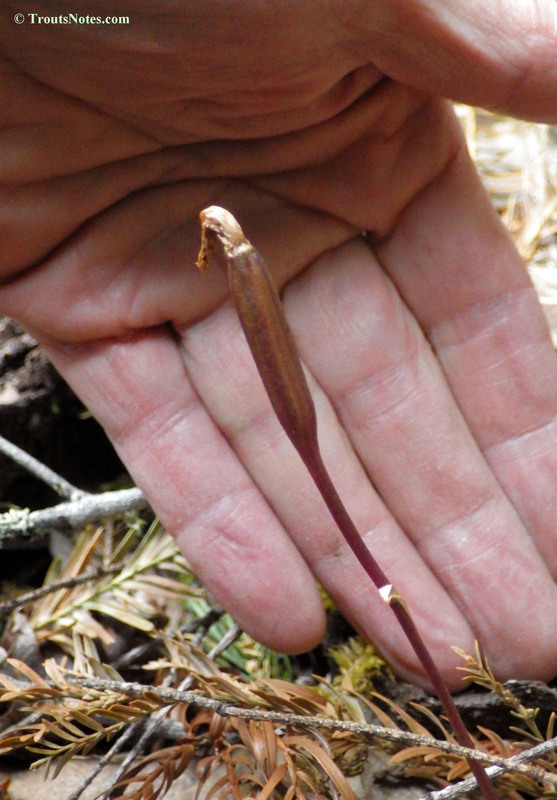 The tiny corm is said to be edible but I have to wonder why a person would.